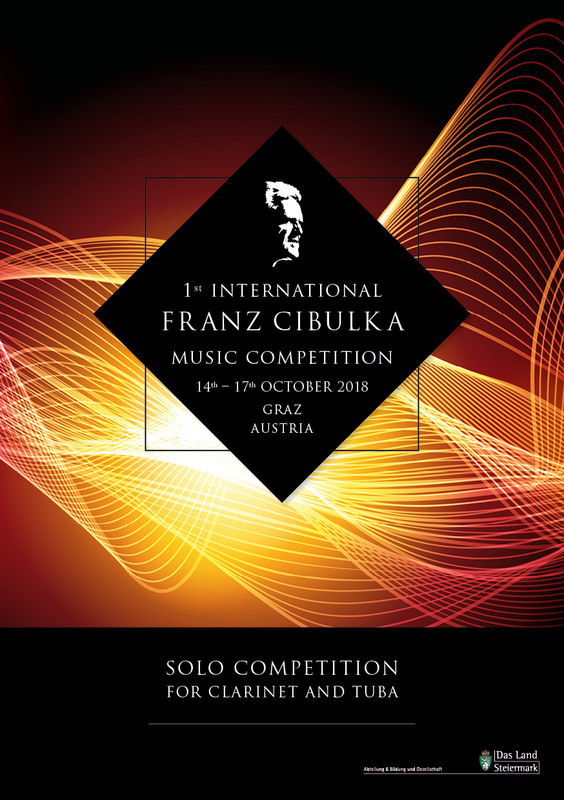 The International Franz Cibulka Music Competition is meant to spread the compositions of the Styrian composer Franz Cibulka (1946-2016) and support musicians who strive for an international career. The competition, which is supposed to alternately focus on solo and chamber music interpretations of Franz Cibulka’s compositions over the years, will in 2018, for the very first time, be advertised for soloists and in the following year (2019) for chamber musicians – each with different solo instruments and ensemble casts. 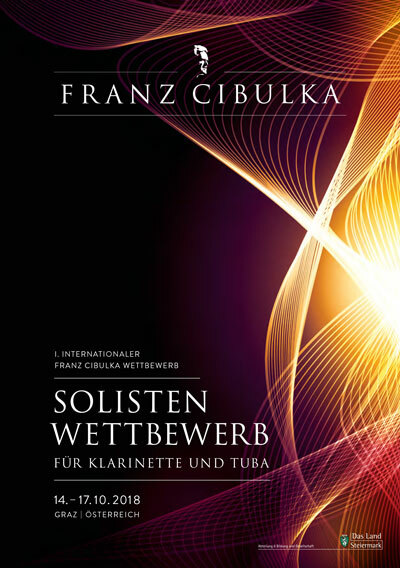 The 1st International Franz Cibulka Music Competition is designed for the following instruments: clarinet, tuba. The chosen compulsory piece needs to be performed in the first round as well as in the final. All musicians born in 1988 or later are allowed to enter the competition. Uncut recording (piece can be freely chosen, accompaniment optional) COMMENT: If the recording is an audio file, a video (e.g. : YouTube) needs to be added. Attention: Musical CV and letter of recommendation will only be accepted in German or English. The confirmation of admission as well as the audition dates will be announced on 15th July 2018 at the latest. The entrance fee is 90 € and needs to be paid into the following account by 1st June 2018 at the latest: Steirischer Blasmusikverband (IBAN: AT40 3800 0000 0448 8011, BIC: RZSTAT2G). As soon as the confirmation of admission has been received, payment cannot be refunded in case of the candidate’s inability to appear or his/her refusal. However, the payment will be refunded if the competition committee rejects the candidate’s participation. The competition will take place from 14th – 17th October 2018 in Graz. The first round with piano accompaniment, in which the compulsory piece needs to be performed, takes place on 14th and 15th October 2018 in the Fux-Hall of the Johann-Joseph-Fux-Conservatory, Nikolaigasse 2, 8020 Graz. If required, an accompanist will be present, who is available for a rehearsal in advance. The final, in which the best five candidates will perform their compulsory pieces with orchestral accompaniment, and the following award ceremony, will take place on 17th October 2018 at 7 p.m. in Stephaniensaal, Sparkassenplatz, 8010 Graz. Not only the first round but also the final will be open for visitors. The finalists will get the chance to rehearse with the competition orchestra (Styrian Youth Wind Orchestra) on 16th October 2018. The prize money will be provided by the Styrian State Government and ceremoniously handed over by one of its representatives. Additionally, the prizewinner will receive the Franz-Cibulka-Medal as a special award. Furthermore, the prizewinner will be invited to the Ö1 live show “Klassik-Treffpunkt” in Vienna, on 20th October 2018.